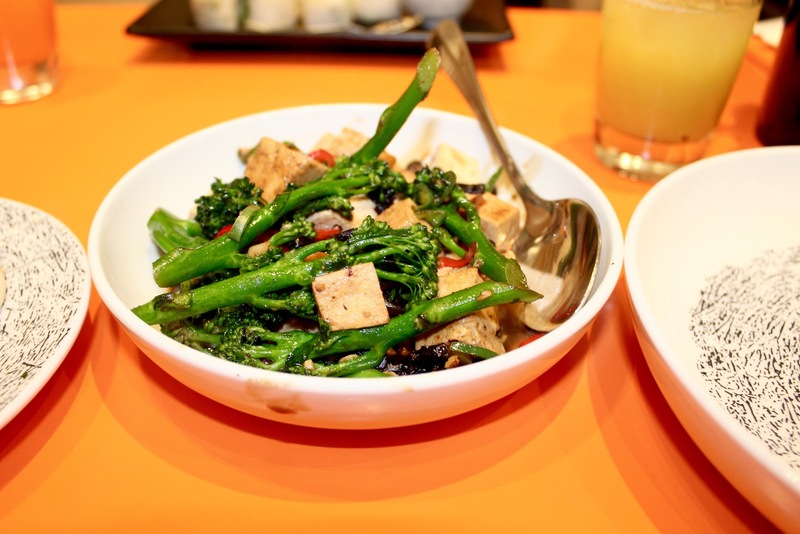 It was National Vegetarian Week a few weeks back so to celebrate I headed over to Ko Sai Restaurant in Fenwick Newcastle, where I met up with the lovely guys from NE Veggie Socials. 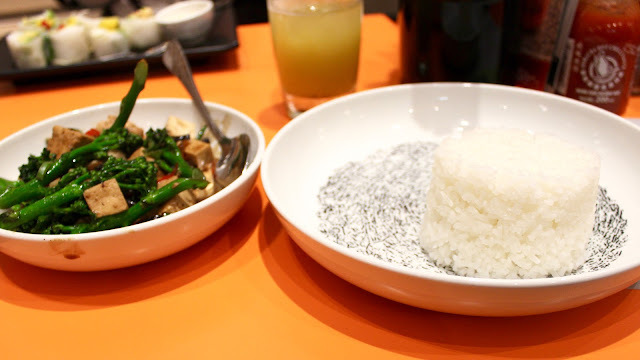 Ko Sai is situated in the recently revamped food hall in Fenwick, serving a delight of Asian Cuisine inspired by cooked-on-the-spot food made by local street hawkers. 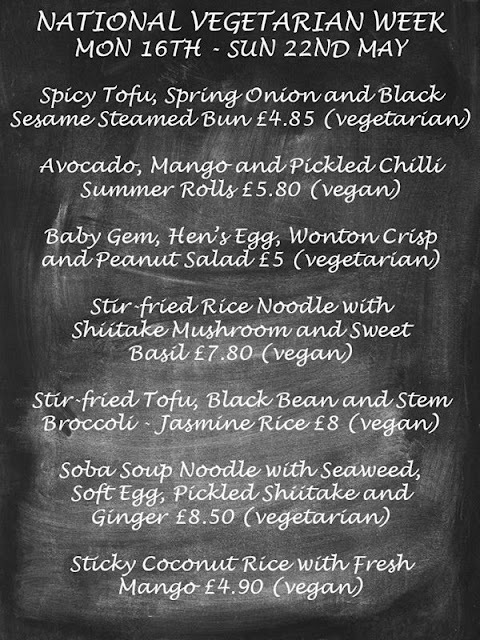 Ko Sai had designed a veggie/vegan menu especially for National Vegetarian Week and I couldn't wait to try it out. With such a selection of dishes on offer I found it hard to choose. 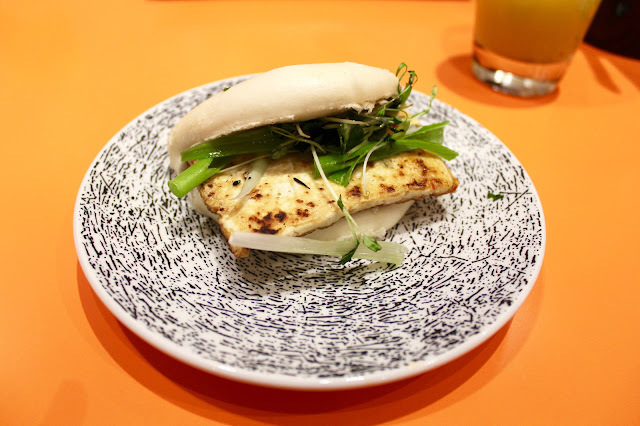 In the end for my starter I opted for the Spicy Tofu, Spring Onion and Black Sesame Steamed Bun accompanied by a glass of pineapple, kiwi and apple fresh juice. The only problem was there wasn't enough, I was left wanting more! I'm really into my tofu at the moment so for my main shizzle I had the Stir-fried Tofu, Black Bean, Stem Broccoli and Jasmine Rice. This had a fantastic kick to it, a lovely level of spice and combination of flavours. I could eat this dish again and again! Although I joined NE Veggie Socials last year this was my first meet up with them due to a crazy schedule and house move. I had such a fun evening, great company, conversation and fantastic food. I can't wait to attend another Meetup with them! I really loved it! And it also helps fuel my tofu addiction!